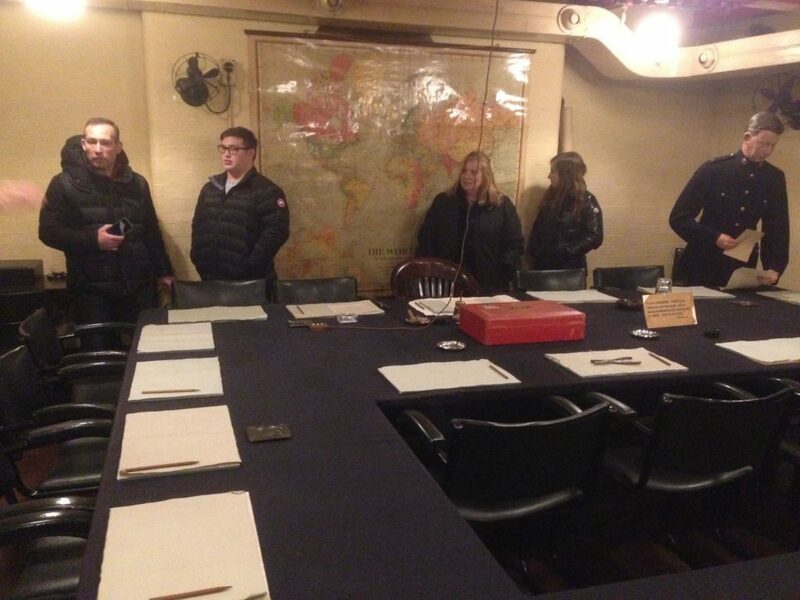 “This is the room from which I shall conduct the war”, Churchill famously said of the basement-level Cabinet Room itself, but only around a quarter of wartime cabinet meetings were actually held in the space, at times when the threat from bombing – and the later ‘V’ weapons – was most acute. 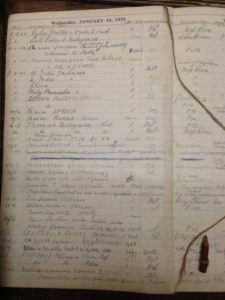 But the complex was staffed by hundreds throughout the course of the war, an essential bureaucracy of information-gathering and coordination. 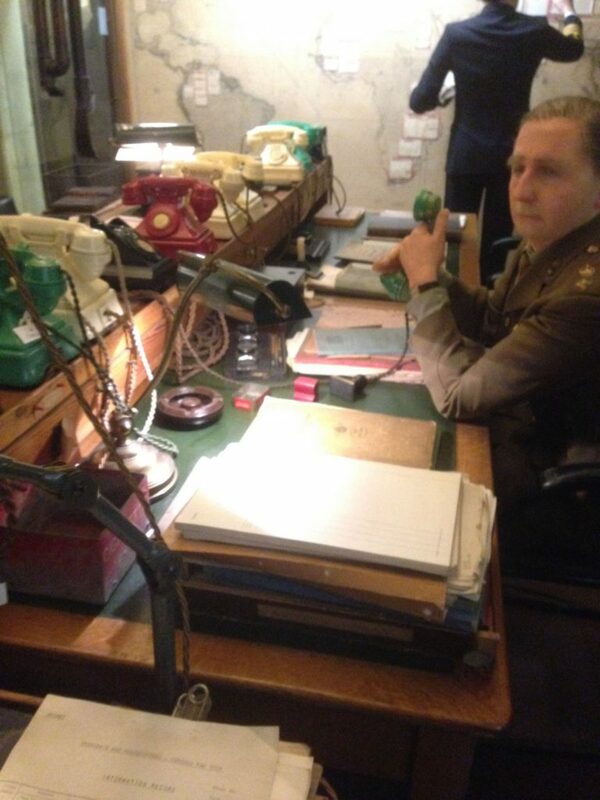 Had the Germans landed, this would have been one of the first places to get the news, and the initial response to any invasion would have been organised here. 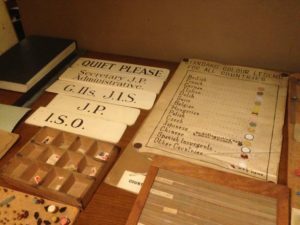 One of the key parts in the Map Room where, each day, the actual physical status of the war was plotted – the positions of the front lines, the losses in the convoys, the ‘score card’ of the Battle of Britain. I’ve been down there a dozen times in the past year, but last week got my own Christmas present as the family I was guiding had booked a private tour. 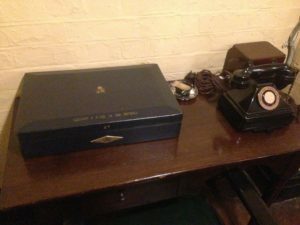 This gets you inside the Cabinet Room, the Map Room and Churchill’s bedroom, with one of the museum’s curators giving you the context and explaining what happened down there. You stand behind Churchill’s wooden chair (desperately fighting the temptation to touch or even sit down in it) – this is the one he sat in across the table from the three military chiefs of staff. 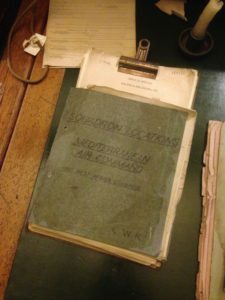 I’ve looked through the glass into the map room on many occasions, but stepping in and getting a nose-full of the smell of old paper was something else, an almost visceral connection with the time and place, and the heroic individuals who occupied these seats. 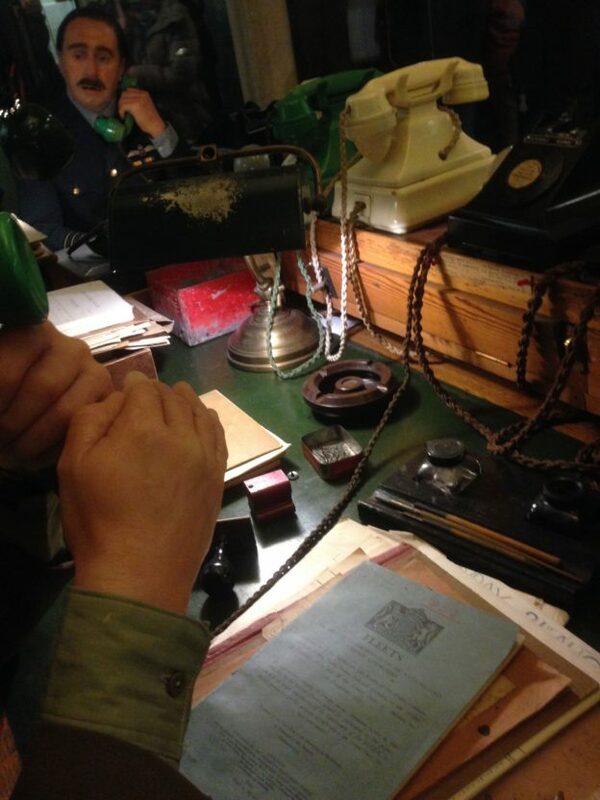 The Churchill War Rooms are open nearly every day of the year from 0900. It’s cheaper to book online and this also gets you in the ‘fast track’ queue for entrance.